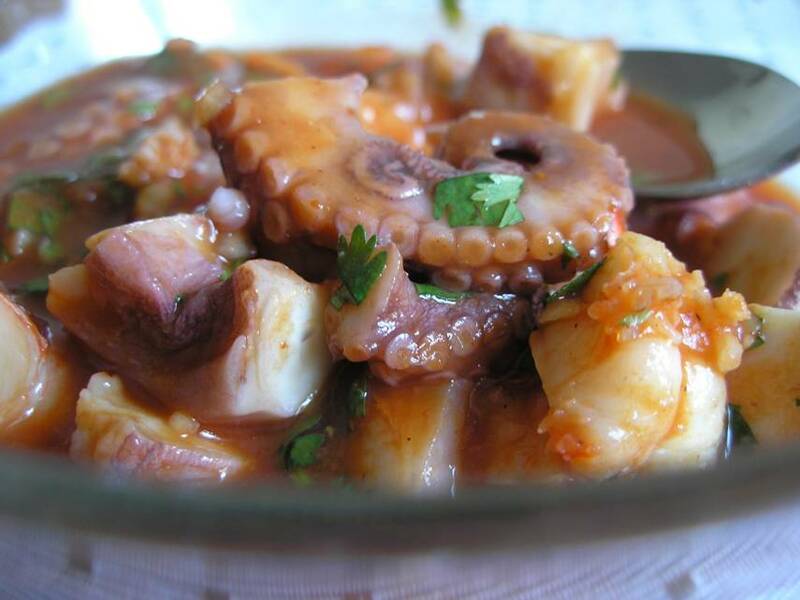 For those who love seafood this Mexican cold soup is refreshing, spicy, healthy filling meal on a hot summer day. Put the sliced octopus and the shrimp in a bowl big enough to put the liquids in. Fry the sliced garlic with the olive oil until the garlic is dark and toasted and let it cool. Take out the garlic from the oil and the olive oil to the mix. Mix everything. The “soup” should be a bit thick (if not add a bit more ketchup). Ready, salt to taste, and serve with the lime, avocado slices and the chilli sauce as you like it.